For ten female inmates, art was healing. And now, the artworks made by these women are on display at Brooklyn Museum, in an exhibition entitled Women of York: Shared Dining. 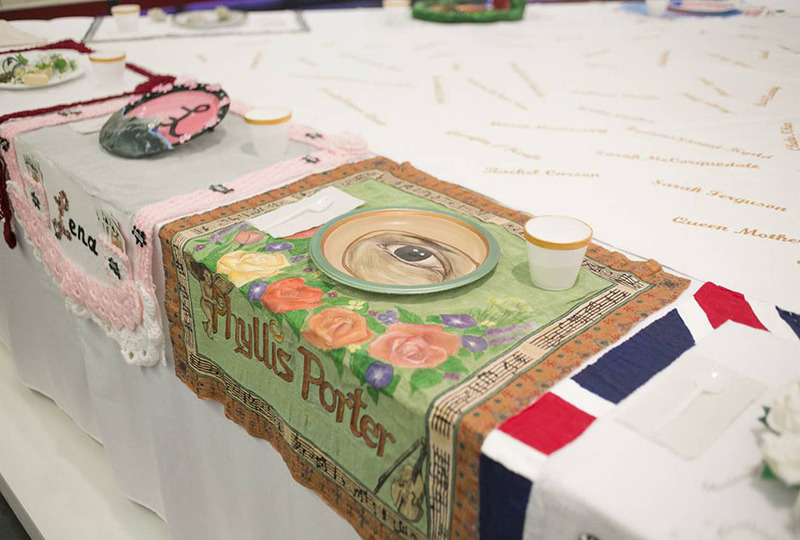 Inspired by Judy Chicago’s iconic 1979 feminist artwork The Dinner Party, the prisoners of the highly secured York Correctional Institution in Niantic, Connecticut, made a new version of the celebrated installation, as an homage to their own influential female figures in life. What started as a recreational workshop has now evolved into a proper artistic project, on view at the Brooklyn Museum, in a gallery adjacent to the one where The Dinner Party is located in. 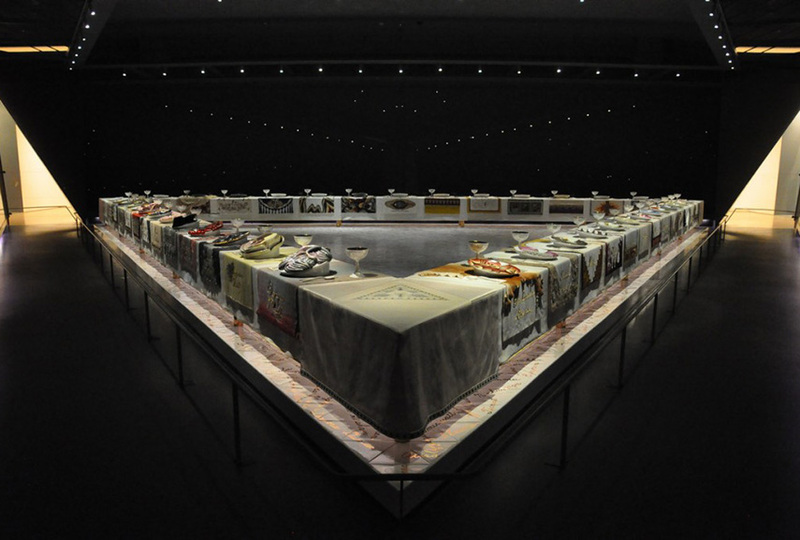 In 1979, Judy Chicago collaborated with a number of female artists to create her most celebrated feminist artwork: a large triangular table hosting a dinner for 39 influential women in history, such as Virginia Woolf, Georgia O’Keeffe, the Fertile Goddess or Artemisia Gentileschi. 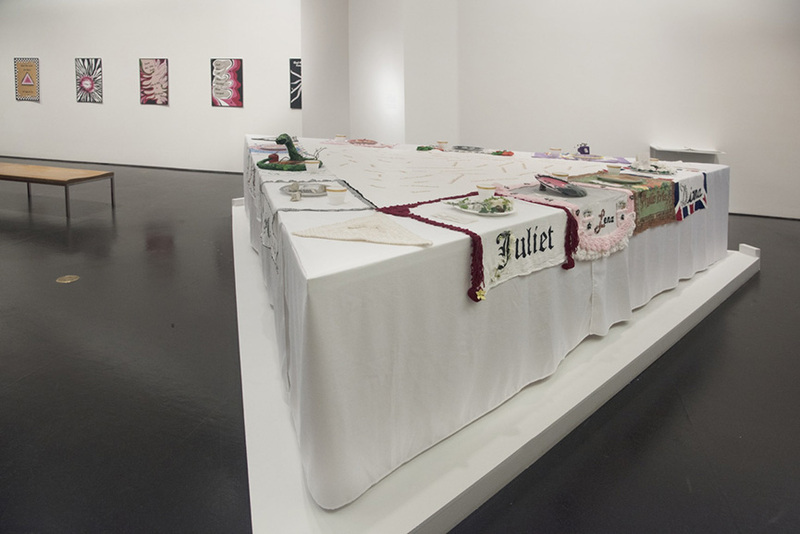 The work carries an important commentary on gender equality and the position of females in society through history to present day. 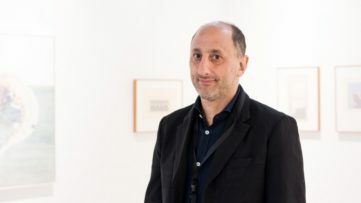 In 2013, activist, historian and art lover Elizabeth A. Sackler teamed up with Joseph Lea, former librarian at the York prison, to introduce a new interactive program to the prison reform. 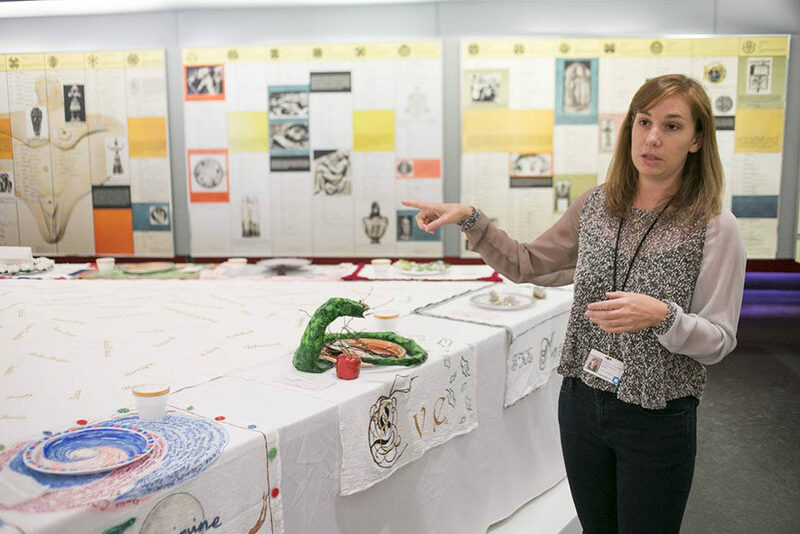 Influenced by what they saw, the inmates participating in the project began calling themselves Women of York, and after six months work, Shared Dining was born. 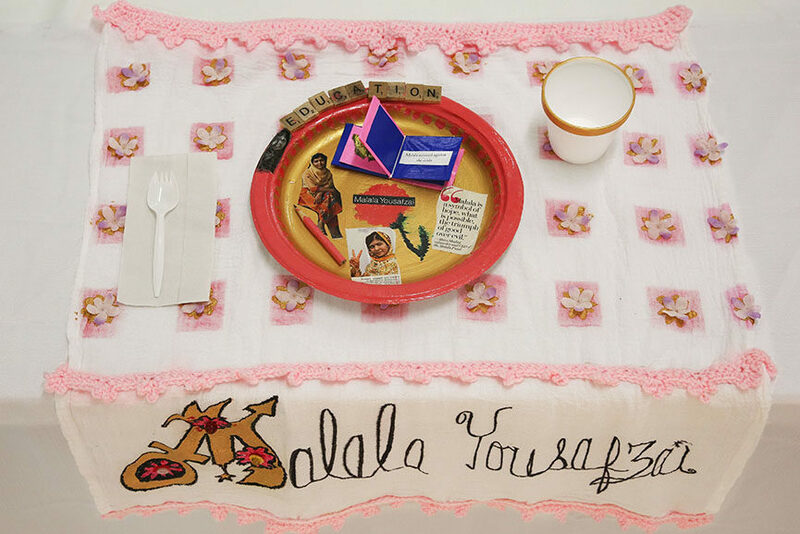 Working within a limited range of materials supplied by the prison commissary, such as plastic cutlery, paper plates and Styrofoam cups, these artists honored other women: some were historical and religious figures, such as the Virgin Mary, Princess Diana or Malala Yousafzai, while some come from the inmates’ own lives. 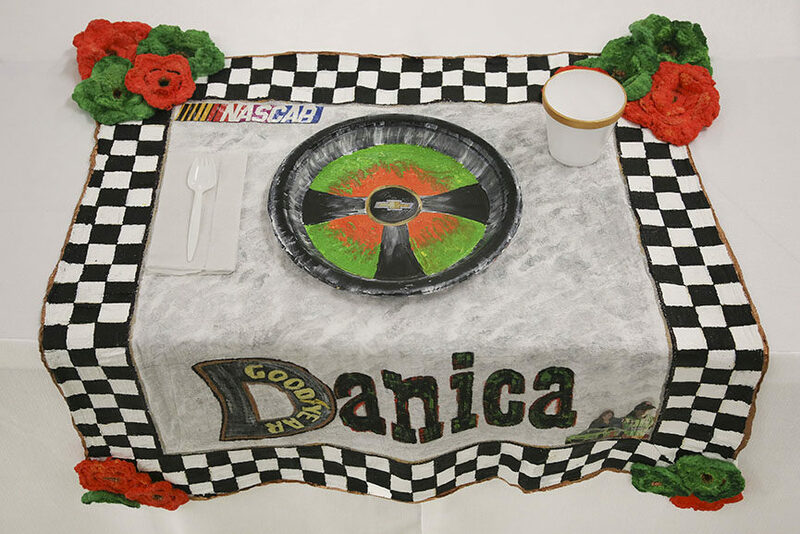 Each of the ten place settings is accompanied by an audio recording of each artist, explaining the reasoning behind her dedicated artwork. 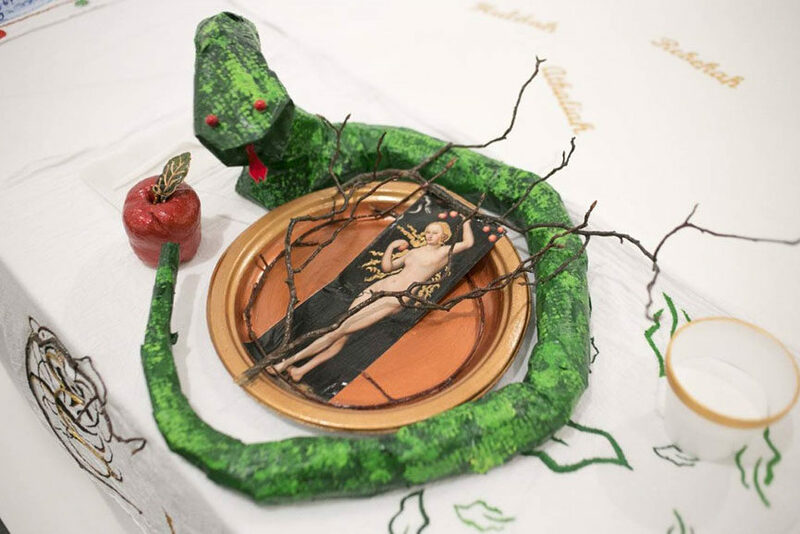 Without any intention to impress, these female inmates used art to simply express their fears, past and hope for the future Through their artworks, they also posed crucial questions regarding politics, gender and incarceration, relying on the means of art to contribute to their corrections program and help them express themselves in the purest possible way. Now, there are plans in motion to take the Dinner Party program to women’s prisons in Scotland and England as well, seeing the success and the impact they had on the female prisoners in York. 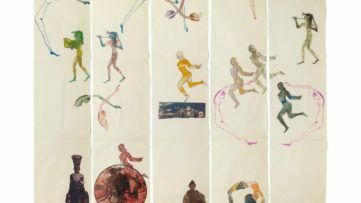 This new art experience of the York female inmates / artist will stay on view at the Brooklyn Museum until September 13th. What are your thoughts? Share them with us on our Facebook page! 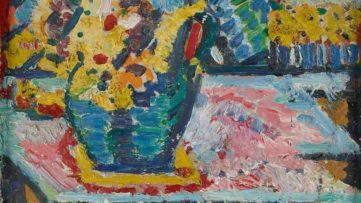 For more art news, sign up for your free Widewalls profile today! Images in slider courtesy of the Brooklyn Museum, Andrew Lamberson of the Wall Street Journal and Susan Meiselas. All images used for illustrative purposes only.